As of January 1, 2018, the state of Nevada now requires all employers to provide workplace protections for victims of domestic violence. Specifically, a Nevada employer must provide 160 hours of personal leave to an employee who has been the victim of domestic violence. These 160 hours of leave must be offered within a 12-month time period. That is not the only new protection afforded to victims of domestic violence in the state of Nevada. Specifically, the state is prohibited from denying unemployment benefits to someone who was forced to leave his or her job in order to seek protection from domestic violence. The current law, modified the prior requirements on the books. As of the new year, Nevada employers have to provide leave to employees who have been employed by the company for at least 90 days and who are victims of an act that constitutes domestic violence. The 160 hours of leave may be taken in a block or intermittently. The time may be taken during a 12-month period following the date on which the domestic violence occurred. Under state law, the leave allowed may be paid or unpaid. Establishing a safety plan to protect the victim from future acts of domestic violence. If the employee uses the leave for a reason that would also allow him or her to take the leave under the federal Family & Medical Leave Act (FMLA), the hours must be deducted from the time allowed in both the domestic leave law and FMLA. Notably, the state statute mandating leave for domestic violence victims does not have a minimum requirement of employees that must be employed in order for the company to be subject to it. This is contrary to FMLA, which does require a minimum number of employees for a company to be subject to the law. Nevada law forbids an employer to deny leave to an employee who is eligible for protected domestic violence leave. The company also cannot retaliate against an eligible employee for requesting or using leave. That being said, an employer may require documentation to support the reason for the request. Changes to an employee’s work phone number. That being said, if it would impose an undue hardship on the company, it is not required to implement the accommodation. 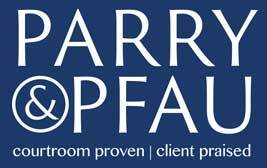 If you have any questions about Nevada’s new domestic violence law or have any other legal question, contact the knowledgeable attorneys at Parry & Pfau today. These skilled lawyers have been protecting the rights of clients across Nevada and can help you, too. Newer PostIs it Legal to Drive Without Insurance?